I’m a long time fan of Scherrer Zinfandels and Pinot Noirs. 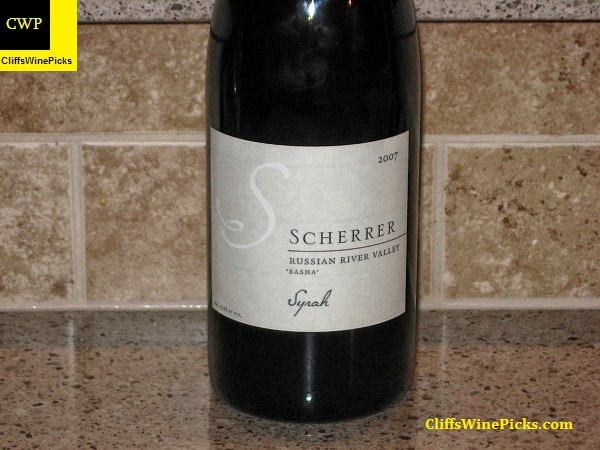 When I saw this bottle of Scherrer Syrah on a store’s shelf, I had to grab a bottle. It will be nice to see what Fred can do with one of my favorite grapes. 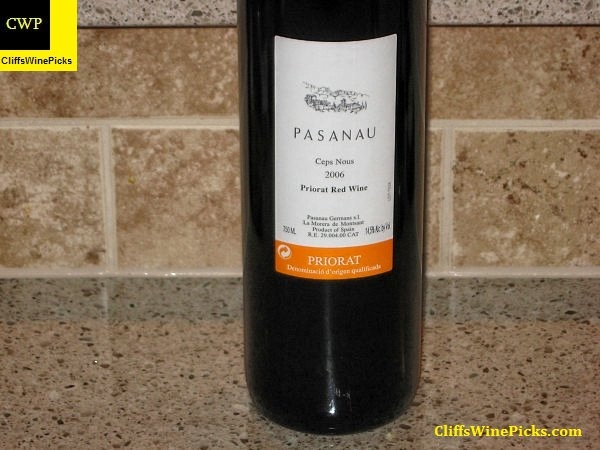 This has 13.5% alcohol by volume and the bottle is sealed with a natural cork. This wine is a blend of Garnacha, Merlot, Mazuelo, and Syrah. This was purchased a few years ago from Garagiste Wine. I had a bottle about a year ago that was outstanding but I felt it would improve with some additional cellar time, time to check in again. The wine was 14.5% alcohol by volume and the bottle is sealed with a natural cork. This is a blend of 50% Cabernet Sauvignon, 40% Shiraz and 10% Merlot from the Stellenbosch region of South Africa. I’ve never been a big fan of South African wines, to me they always seem to be looking for an identity. This one received a high score and a great review from Wine Advocate. This has 14.0% alcohol and the bottle is sealed with a natural cork. If you follow this blog, you already know I’m a big fan of Brian Loring’s wines. 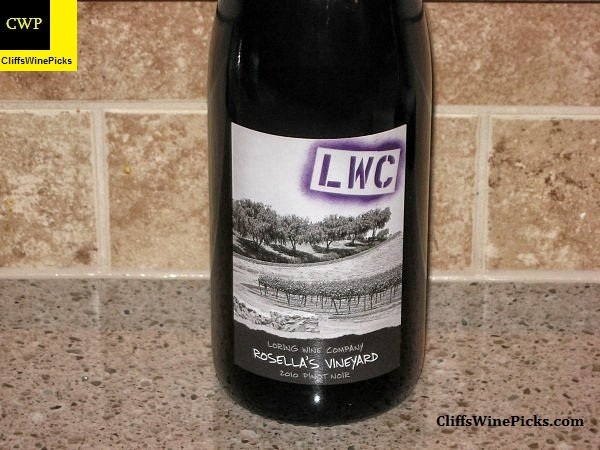 His Rosella’s Vineyard is generally my second favorite wine behind the Clos Pepe wines. These are generally made in a bigger riper style, very Californian. If you’re looking for a Burgundian style of wine, look elsewhere. 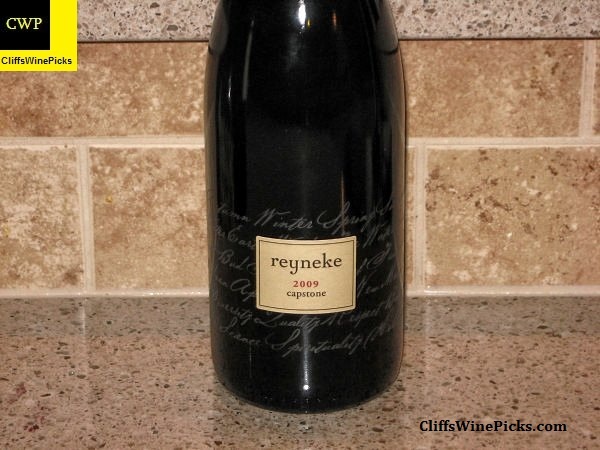 If you are looking for a rich and flavorful Pinot Noir, welcome home. This has 14.9% alcohol by volume and is closed with a twist off cap.